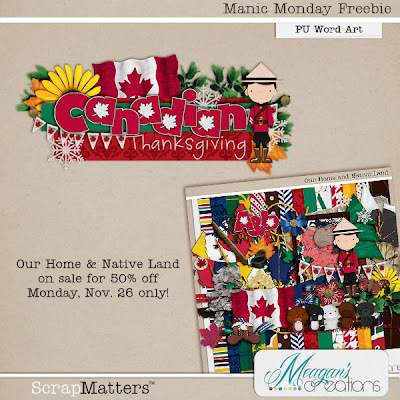 Meagan's Creations: Manic Monday: Our Home and Native land and FREEBIE! 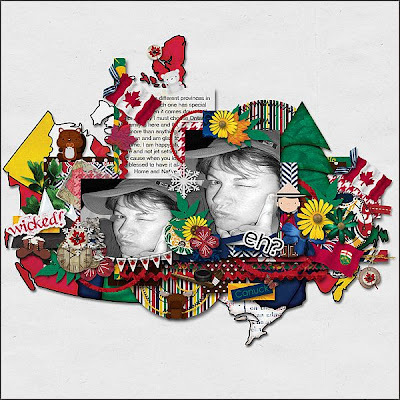 Manic Monday: Our Home and Native land and FREEBIE! 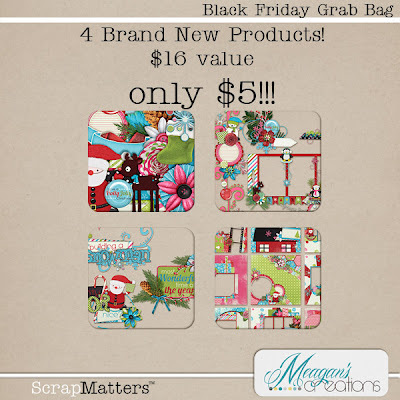 Before we get to the Manic Monday Special, today is your LAST CHANCE to grab Meagan's Black Friday Grab Bag worth $16 for ONLY $5! That's an unbeatable bargain! Also, there will be a flash sale of product that is to DIE for that will be at 2pm EST! So DON'T MISS IT! Now onto ScrapMatters' Manic Monday Sale where select products are on sale for 50% off by various designers! The sale runs from 12am to 11:59pm ET. 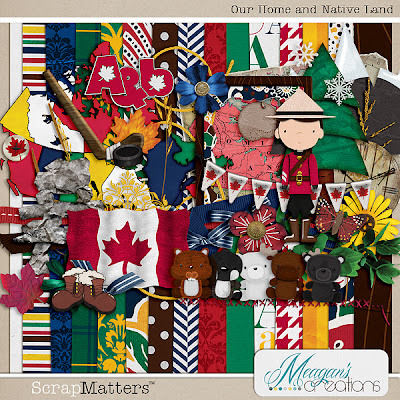 For this Monday, you can grab Meagan's Our Home And Native Land kit for 50% off!This bright and beautiful kit will be perfect to scrap all your Canadian trip pics and photos! And of course, it's a great opportunity for all you Canadians to show off your beautiful country. 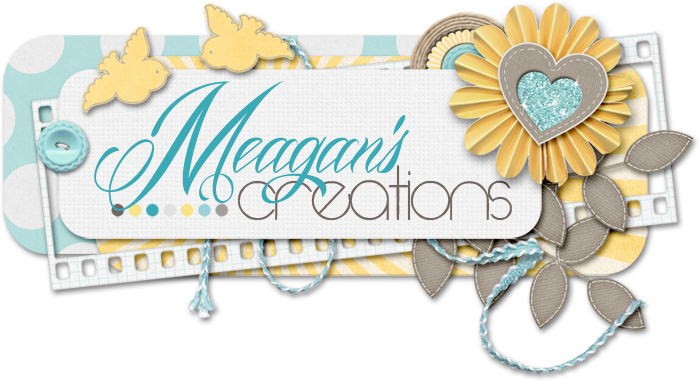 And finally, Meagan has a gorgeous word art freebie for you guys!